Home / Teaware / FORLIFE Glass Teapot with Basket Infuser, 15 oz. FORLIFE Glass Teapot with Basket Infuser, 15 oz. An enchanting dance of aroma and color will unfold before your eyes in this stylish sphere glass teapot. 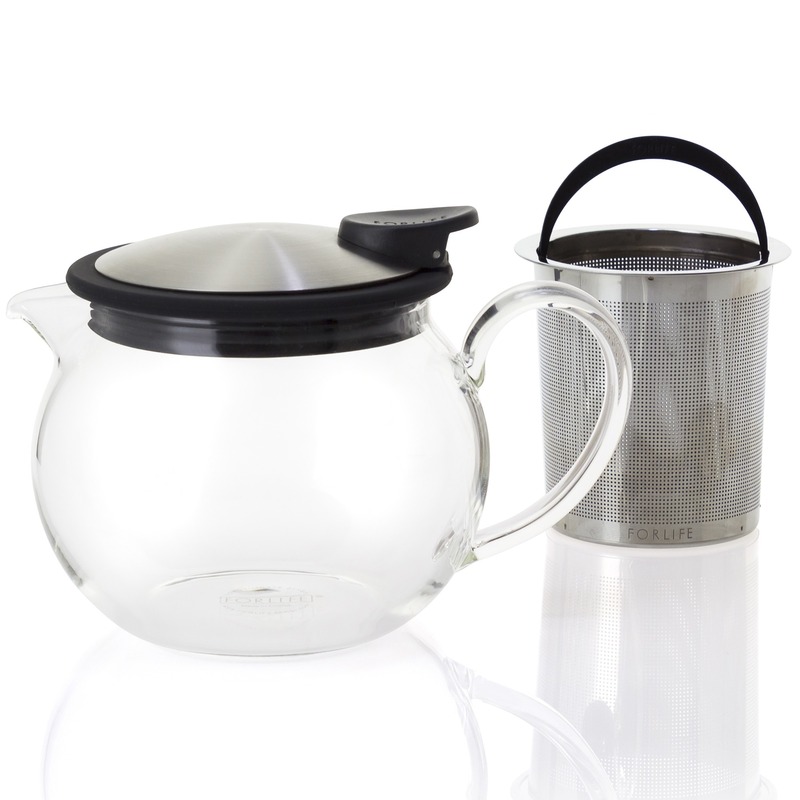 Bola Glass Teapot with Basket Infuser, complete with the Basket Infuser with handle and the Push-on-Lid, allows you to remove the infuser at the optimal time. 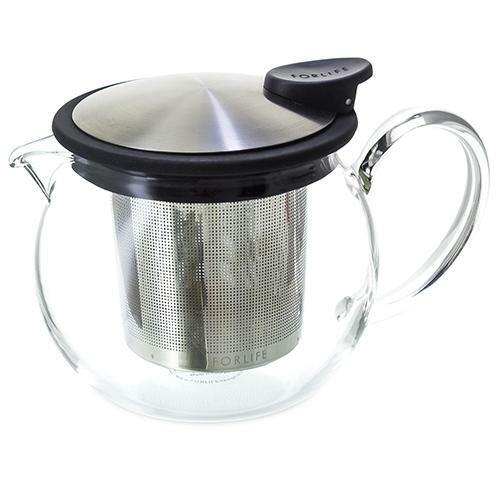 Its stainless steel infuser with extra-fine holes enables you to brew fine loose leaf teas such as Rooibos and large whole leaf teas such as Oolong. 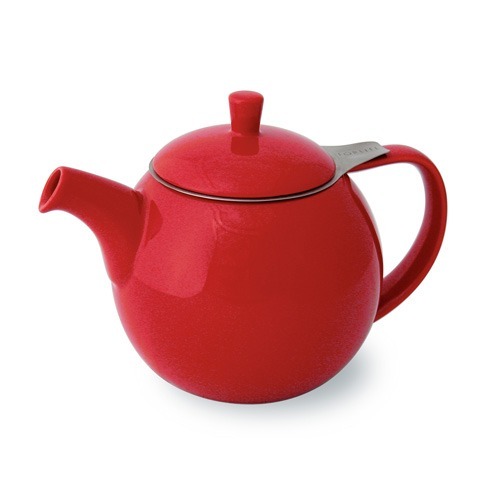 This teapot is versatile – brew loose leaf tea using the infuser or without for flowering tea or tea bag. 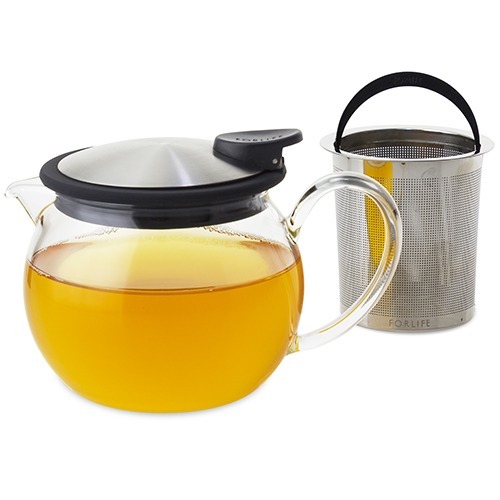 FORLIFE Curve Teapot with Infuser 24 oz. 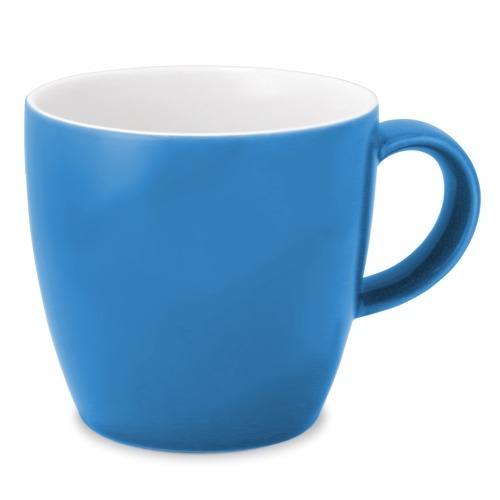 FORLIFE Uni Tea/Coffee Cup with handle – 11 oz. 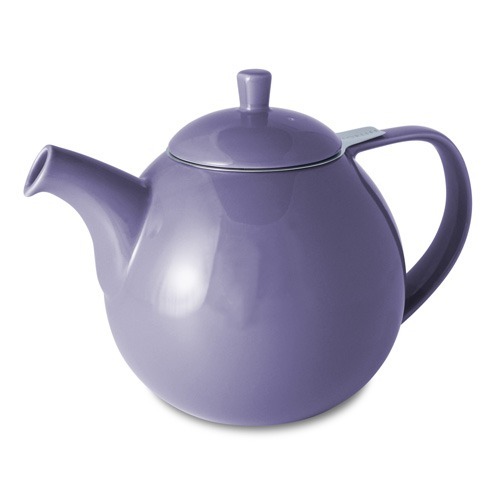 FORLIFE Curve Teapot with Infuser 45 oz. Many thanks for the Kenyan Gold. I had a mug early this morning. Delicious! One of the best black teas I’ve ever tasted. Great start to my day. I plan on trying your other offerings including the green tea. It’s Back! Happy to find our favourite British tea available in the States, delivered in two days with a free box of Earl Grey as packing material! Many thanks! The peppermint is the best medicine I’ve tried for upset stomach after eating spicy foods! Excellent! Great tea, great customer service, not sure what more one can ask for!? 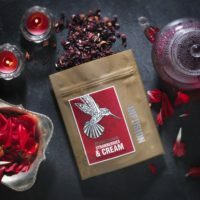 The breakfast blend is a wonderful daily tea and is delicious with milk. I have loved drinking Rington’s tea for many years. I was introduced to it by my husband’s family who were residents of Ashington, not far from Newcastle where Rington’s tea is made. 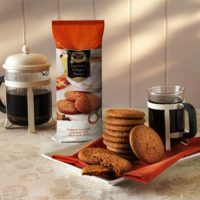 I love the 2-cup bags, and drink at least a pint of tea every morning first thing. I drink the decaf in the afternoon. Both are terrific. Thanks for having outlets in the US. I no longer have to lug it through airports. Bless you all and thanks for this wonderful product.